Program offers support to those who may be wrestling with self-doubt or financial challenges — and connects them with others in the same boat. Being the first member of a native Pacific Islander, working-class family to earn undergraduate and graduate degrees wasn’t easy for Jaye Sablan. “I was constantly concerned about finances and student debt and could not reach out to my mom or siblings for any kind of emergency financial help,” Sablan says. “I felt an immense pressure to figure out everything on my own and to do good not only for my family but also for my community,” Sablan says. The stakes felt higher, and the fear of failure was strong. 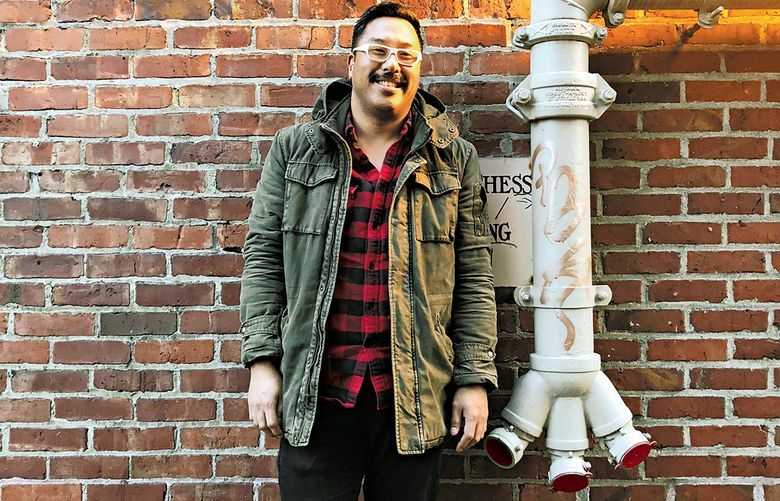 “This left me feeling like I was an imposter and that my peers and professors would eventually find out that I ‘wasn’t cut out for graduate school.’ That somehow I wasn’t smart, articulate or professional enough,” Sablan says. Today, Sablan is the assistant director of core programs in the Office of Student Affairs at University of Washington’s Graduate School. Core Programs offers the First-Gen Grad Initiative, which helps address the needs of graduate students identifying as first-generation or the first in their family to complete four-year college degrees. Workshops and events encourage first-generation graduate students the chance to meet one another for support. First-generation students are typically defined as first in their family to obtain a bachelor’s degree. These students made up at least 20 percent of the class of students that started master’s or doctoral programs in fall 2017 across all University of Washington campuses. First-generation graduate students face numerous challenges, including dealing with that “imposter syndrome” Sablan mentioned — a perception that you don’t fit in or aren’t good enough or might not be qualified, says Kelly Edwards, associate dean of student and postdoctoral affairs at UW Graduate School. Also part of the equation for first-gen graduate students: self-doubt, uncertainty, financial challenges and more. These challenges are compounded when grad students don’t come from financially stable families, or come from families without experience navigation college. Some come from families who are counting on the students for support. “I often longed for a supportive first-gen grad student community on campus to counter those feelings of isolation,” Sablan says. UW’s initiative attempts to address that longing by creating community and connections for first-generation graduate students through receptions, socials and professional development seminars. “These students come from such diverse backgrounds and identities, and yet, they can recognize some of the common challenges and struggles,” Edwards says. First-generation students have strengths to draw on, Edwards says. A “mentoring team” of professors, co-workers and trusted friends are key to getting through graduate school, Sablan says. Financial support through scholarships, fellowships, or committed Research Aid/Teaching Aid (RA/TA) positions help graduate students focus on their work and “not spend significant time and energy either anxious about where their next source of funding will come from, or working two or three different jobs to make ends meet,” Edwards says.